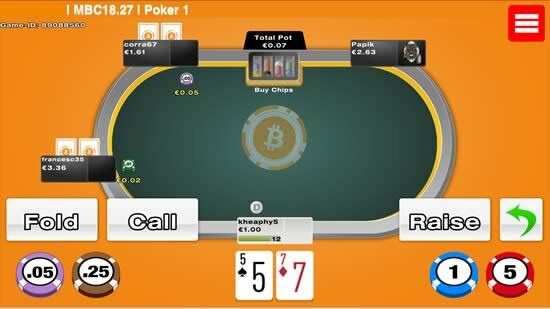 mBit is a bitcoin casino that also offers Texas Hold'em and Omaha poker on iPhone, Android and Windows Phone. mBit welcomes real-money poker players from the United States of America to play anonymously. 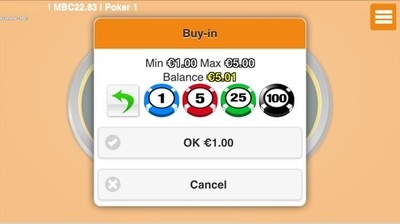 Unfortunately, mBit no longer offer online and mobile poker games. 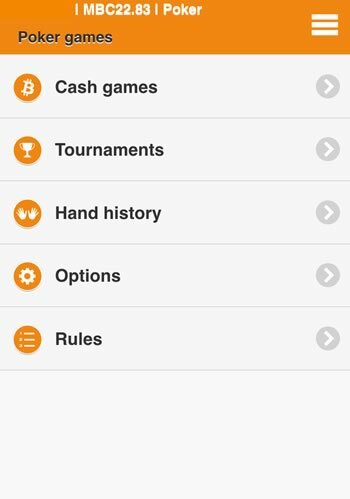 Play real-money bitcoin poker in the U.S. or anywhere. mBit is part of the medium traffic InstaDeal Network. Enjoy Texas Hold'em and Omaha fast fold games. Sit and Go, Freeroll and Schedule Tournaments. Start playing instantly on any iOS, Windows or Android. As the popularity of bitcoin continues to rise, there is becoming a great deal of choice for the user who is looking to invest their crypto-currency in chips at the poker table. Offering over 200 bitcoin-based games on its site, it is no secret as to why mBit Casino is a major player in the industry: it provides the player with an intuitive and high-quality poker client. With a huge 110% deposit bonus for new users and software which is fully licensed and regulated, there is no reason not to try out the poker app at mBit Casino. To the joy of iOS users, mBit Casino is entirely browser-based which means that it can be played on any type of smartphone. This is also great because it means that there is no download or installation process, nor the need for any updates; you can head straight to the website and be betting your bitcoins in only a few moments. 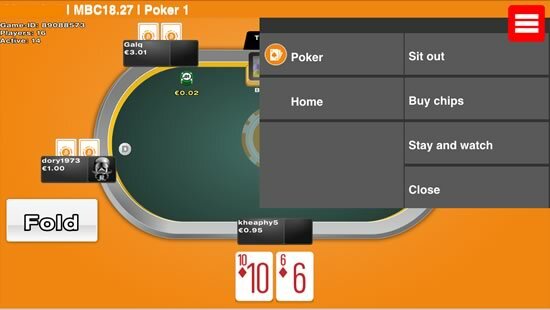 Another perk of this is that you can also play on the site from your computer (unlike some app-only poker clients), so getting your fingers on the felt has never been easier. As previously mentioned, the mBit poker site offers a huge 110% deposit bonus to new users. Unlike some other sites which require a large deposit to be eligible for a deposit bonus, mBit Casino grants you the offer with a minimum deposit of only 1mBTC (approximately $0.22). As well as this, there are no terms or conditions before you receive the bonus–it does not need to be wagered a certain number of times before you access it–you will receive 110% of the amount that you have deposited immediately before playing. Also, don’t think that it is only new players that are rewarded–second-time depositors receive a 50% bonus payment while regular depositors gain 25% extra free bitcoins. On top of these deposit bonuses, mBit Casino runs a VIP program which rewards loyal players with gifts ranging from cash and electronics to vacations! It would be easy to think that, with a site that offers such a large variety of games (you can play over 200 casino games as well as accessing live dealer tables on), the poker app is going to be lacking in depth. However, this is not the case at all; mBit have developed a poker experience that will satisfy each new and experienced poker players alike. You can play both cash games and tournaments, and there is a good variety of stakes available in both categories. There are also a bunch of freerolls running daily where you have the opportunity to win real bitcoins for free, which is great if you have burned through your deposit bonus in a hurry! There is also the option to play for fun rather than for real cash, so don’t fret if you are out of bitcoins and are still wanting to enjoy the game. 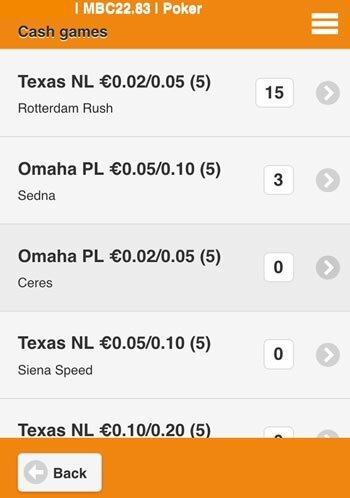 As well as No Limit Texas Hold ‘em, the app offers Pot Limit Omaha for players who enjoy the four card poker variant. Cash game tables are fast-folding by default (a format where you are seated at another table and dealt a new hand immediately after folding) which caters for those addicts of action who can’t stand waiting about for that big hand. This also means that when player traffic is low, you should still be able to get the cards in the air as there is no inactivity while users wait around for the next hand to be dealt. Another useful feature is the storing of hand histories which can easily be accessed through the main menu; this lets you review hands which you have played, allowing you to analyse your own strategy (as well those of other players) and develop your ability as a poker player. Along with the opportunity for customisable avatars and the choice of a 4-color deck which helps differentiate between suits on smaller screens, mBit Casino has paid a great deal of consideration to its app to ensure that you get the best experience possible. mBit is primarily a bitcoin casino so many of the players at their poker tables are straight-forward gamblers that are eager to give away their money. Poker players with even a little bit of experience can easily increase their bankroll at this soft competition bitcoin poker room. With great promotional offers, daily freerolls and a fully licensed and regulated payment system, mBit Casino offers a great service to all users. 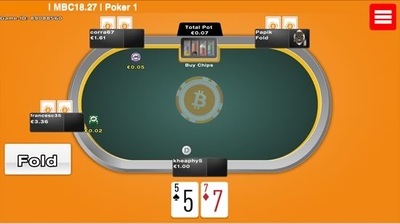 The small size of the minimum deposit ($0.22) means that newcomers to bitcoin poker can easily give it a go, while regular players are rewarded with a lucrative VIP program. The variety of games offered ensures that there is a table for everyone, whilst browser accessibility allows Windows Phone, Android, iOS and even computer users to come together and enjoy the wonderful game of poker in the same cardroom. Reviews of other recommended iOS and Android poker sites.